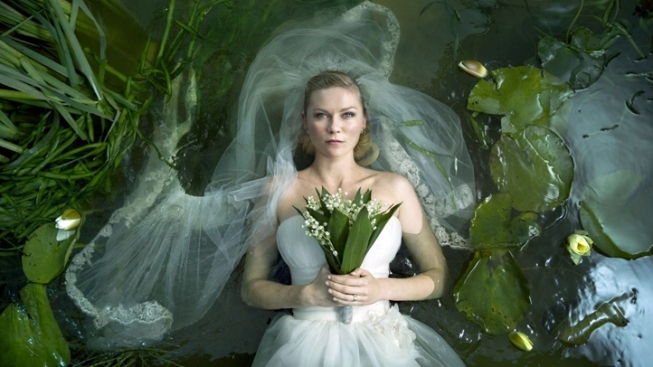 The National Society of Film Critics selected Lars von Trier's drama "Melancholia" as the best picture of 2011 during its annual meeting Saturday. The society also named the movie's star, Kirsten Dunst, as 2011's best actress. The film ponders the end of the world. The group, comprised of 58 prominent movie critics from around the country, met Saturday at Sardi's Restaurant in New York City to make its picks. Society members chose Brad Pitt as best actor for his performances in "Moneyball" and "The Tree of Life." Albert Brooks, in "Drive," and Jessica Chastain, in "The Tree of Life" and two other movies, received nods for supporting roles. Terrance Malick was picked as best director, also for "The Tree of Life," and Werner Herzog's "Cave of Forgotten Dreams" was selected as best nonfiction film. The society, founded in 1966, also works to promote film preservation and historically important movies. This year, it recognized Brooklyn's BAMcinematek for its retrospective of films by Vincente Minnelli, known for musicals and dramas; and the Criterion Collection for its DVD package of "The Complete Jean Vigo." The group's picks can help galvanize interest in films ahead of the Academy Awards in February, but are not known to heavily influence who gets picked for the Oscars.